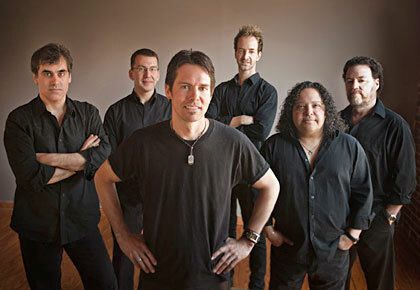 Windborne's second orchestral Rock Symphony offering in 2013 is the Music of The Rolling Stones. One of the most iconic Rock groups in history, the Rolling Stones were formed in 1962 and have toured for over 50 years. Ranked as number 4 of the 100 Greatest Artists of All Time by Billboard Magazine they have sold over 200 million albums. Delivering a fabulous rendition of Mick Jagger’s vocals and attitude is Vegas veteran and Windborne Music star, Brody Dolyniuk. As with all of Windborne Music's productions, the band is replicating the Stones' recordings as closely as possible and the orchestra adds that whole new dimension to the music. The show contains nearly all of the Stones' number 1 hits including Satisfaction, Paint It Black, Ruby Tuesday, Honky Tonk Women, Angie and many more.